Terms and conditions apply. 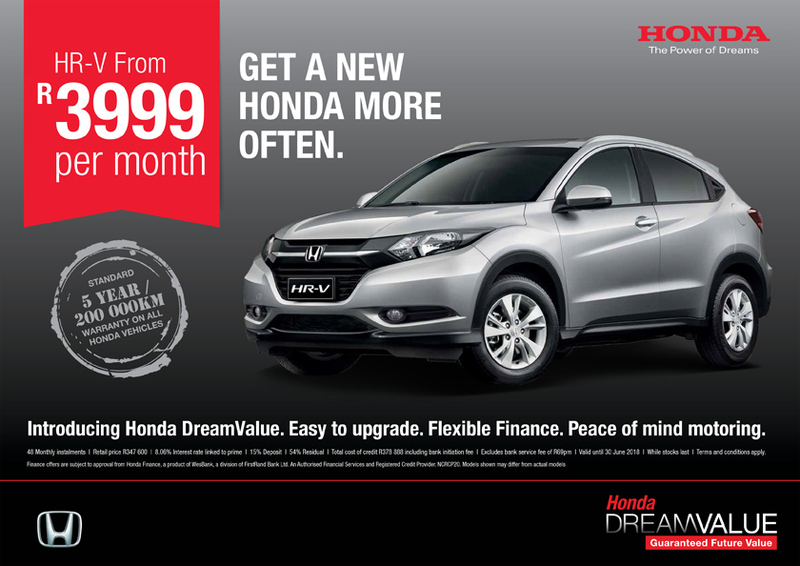 Finance offers are subject to approval from Honda Finance, a product of WesBank, a division of FirstRand Bank Ltd. An Authorised Financial Services and Registered Credit Provider. NCRCP20. Excludes bank service fee of R69pm. Models shown may differ from actual models. Offer valid until 30 June 2018 or while stocks last.